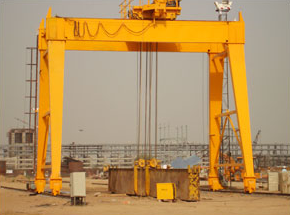 We are trustworthy manufacturer of Goliath EOT Cranes adapted to applications where overhead runways would be very long, affluent to erect and difficult to maintain in alignment.Goliath Gantry Cranes finds application in Construction sites, Stockyards, Ports, marble and granite industry. Goliath Cranes are self-propelled cranes running on rails installed at ground level. Our Goliath Cranes offers an economical solution to bridge cranes when the building is inadequate to support a bridge crane. 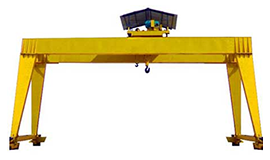 The preliminary cost of this crane is double than that of Overhead Crane.We supply Goliath Cranes to the esteemed clients at pocket friendly prices. Goliath Overhead Cranes are available in customized models to satisfy the different needs of the industries across worldwide.